Attractive collection of Crystal Blue Orgone Palm Stones Cab at affordable price.Lapis lazuli is often known as the Truth Stone.It is a highly spiritual crystal which encourages clarity, self-awareness and inner peace. 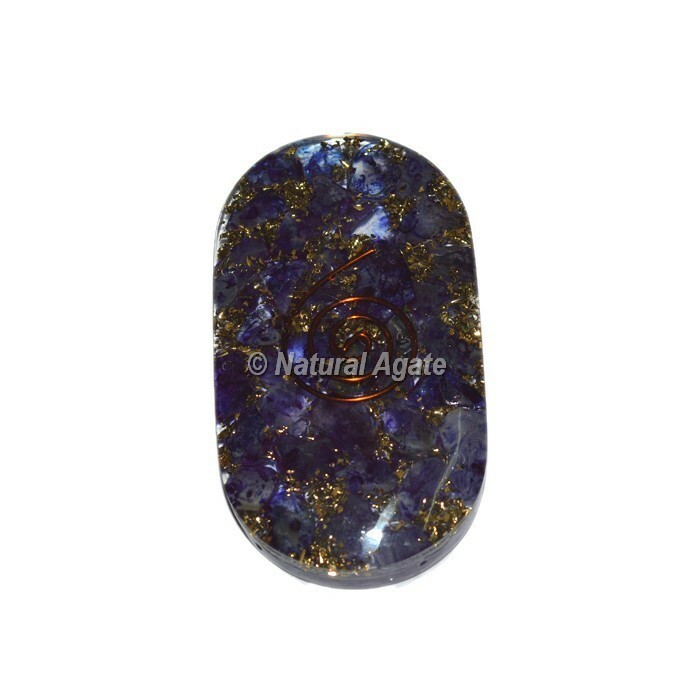 It aids in enhancing psychic abilities and can provide profound spiritual insights. It is also a stone of protection which guards against negative energies.